35 years after approval of Tejas, the indigenous Light Combat Aircraft (LCA) in 1983, it has missed another deadline of getting its final operational clearance (FOC) by June 2018. This is after several revisions and repeated declarations by the government that FOC will be given by June 2018. Incidentally, the Tejas LCA project cost had already crossed Rs 7,399.69 crore (US$1 billion) in 2015. The first squadron of LCA Mk I commissioned in a hurry, perhaps for political mileage, has just five aircraft and was to be fully formed only by end-2018. IAF has ordered 40 x LCA Mk I aircraft from HAL. However, the Mk I does not meet the IAF�s Final Operational Configuration (FOC) specification requirements. An interim variant evolved by HAL is the LCA Mk 1A which will have the improved version of the Israeli EL/M-2052 Active Electronically Scanned Array (AESA) radar, and an electro-optic Electronic Warfare (EW) Suite. It will also incorporate weight reduction along with easier servicing and maintainability and have a mid-air refueling probe. The IAF has committed for 83 LCA Mk IA but this variant will likely start getting inducted earliest only in 2020, if not later. But the Tejas appears months, if not years away from obtaining the FOC due costs and operational concerns. The estimated overall development and production cost of the first 123 x Tejas, of which only nine have been delvered to-date under the initial operational clearance (IOC) configuration, has gone past Rs 75,000 crore. MoD has now set up an �Expert Costing Committee� to examine HAL seeking Rs 463 crore for each of 83 Tejas Mark 1A LCA whose purchase had been cleared by the IAF. 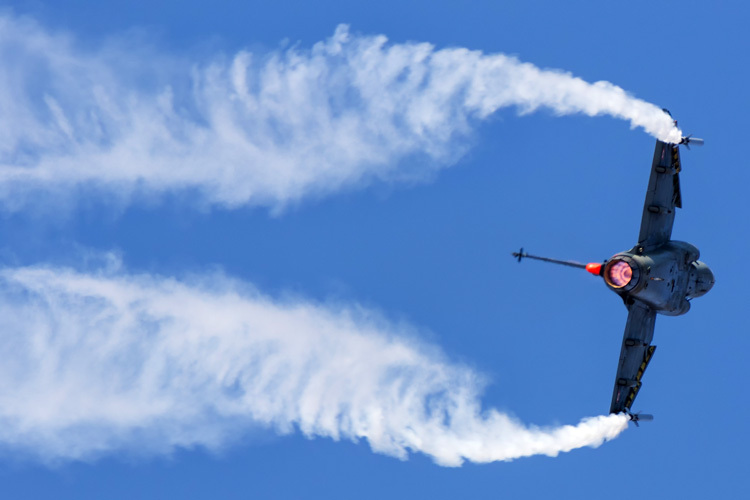 HAL is seeking Rs 100 crore more than the Tejas Mark 1 which is in the process of induction, which is more than proven foreign competitors; SAAB quotes Rs 465 crore for the Gripen and Lockheed Martin Rs 380 crore for the F-16 at Rs 380 crore. Both Gripen and F-16 were to be produced in India with local partners. Moreover, HAL charges Rs 415 crore for its indigenous Sukhoi-30 MkI, while each unit imported from Russia would cost Rs 330 crore. The Expert Costing Committee is to examine why HAL has raised the price of the more advanced version of the LCA by Rs 100 crore when the IAF says it has already diluted some of the improvements it wanted over the earlier version. Significantly, the DRDO had very confidently announced in 2011 that the Tejas was ready for battle and would get the FOC by 2012. But even the June 2018 deadline has passed and the HAL is nowhere close to obtaining the FOC. This is akin to numerous baseless boasts that are made periodically by the governmental defence-industrial entities like DRDO, HAL, Ordnance Factory Board (OFB). But if there is no accountability in these entities, there is none in the MoD as well who directly commands them. The management of HAL is directly under the MoD, so where is the oversight by the Department of Defence Production (DoPD)? An un-named MoD official is quoted by media in saying �The entire project management of Tejas needs to be overhauled. Hindustan Aeronautics Ltd is far away from delivering 16 Tejas per year as required. MoD is also examining the Rs 50,000 crore being demanded by HAL for producing 83 Tejas Mark-1A fighters, with 43 improvements over the existing version�, but the question is what has the DoPD / MoD been doing all these months and years when it is itself charged with overseeing the management of HAL? Why is it that when the deadline to obtain the FOC has come or passed, the issue of pricing and operational concerns have cropped up, and now an Expert Costing Committee has had to be set up? Should the DoPD not have monitored such an important �Make in India� project on a monthly, if not weekly basis? 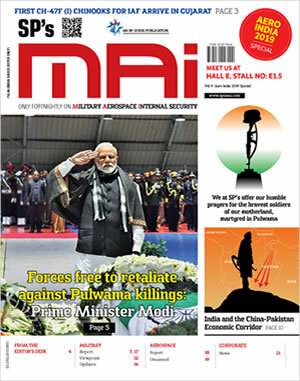 This, especially after Dr Subhash Ramrao Bhamre, MoS (Defence) had briefed Prime Minister Narendra Modi in late 2017 that the �Make in India� project was floundering due to gross unaccountability of MoD bureaucrats. But the million dollar question is whether there is a method in the madness? For decades, MoD in conjunction governmental defence-industrial complex have deliberately delayed projects, creating criticalities, so that bulk imports can be resorted to in case of emergencies. The blame is always put on the military preferring foreign systems, whereas the �cuts� are made by the politico-bureaucratic nexus, with no one the wiser. The military anyway get the weapon / weapon system at higher costs whether indigenous or ex import. It is quite possible that the delay in Tejas obtaining the FOC is deliberate in order to get more fighter aircraft ex import. Considering operational requirements, IAF must have a mix of Tejas as well as other aircraft, so possibly the price too has been artificially inflated to make it look just higher than the Gripen and F-16. Imports, including foreign collaboration through strategic partnership, obviously are more lucrative for under the table benefits. Incidentally, both the Gripen and the F-16 have long overcome their teething troubles and could be quickly inducted into frontline service, much earlier than the Tejas. The F-16 could also have political overtones to please the Trump administration � in lieu of something. Corruption in MoD and governmental defence-industrial complex is endemic. Recent reports of the land mafia in MoD indicate brazenness in corruption. The nexus has even enabled bureaucrats to change service rules on false inputs, and obtaining approval of the Union Cabinet. Therefore, the delay making the Tejas fit for FOC could well be deliberate. There are no two thoughts that India needs its indigenous fighter jet, to which the IAF is also committed. The IAF is already down to 31 fighter squadrons where the minimum required numbers to combat Pakistan and China is 42 squadrons. The existing number of 31 will also see downslide with 10 squadrons of MiG-21 and MiG-27 retiring as and when they complete service. The brouhaha that there will be no war is na�ve because if Armed Forces are inadequately equipped to fight only with abundance of valour, it is open invitation to the enemy to do mischief. The Indo-Russian FGFA project is already shelved as per new reports. The hunt to acquire 114 fighter aircraft, with bulk of them to be built indigenously has been re-launched, with six contestants responding to the Rs 1.25 lakh crore project; F/A-18 and F-16 (US), Gripen-E (Sweden), MiG-35 (Russia), Rafale (France) and Eurofighter Typhoon. However the procedure is going to be long drawn, these only being the initial bids. Speaking at the Air Force Day Parade in October last year, Air Chief Marshal BS Dhanoa that IAF was prepared to fight a war at short notice. According to him, the IAF had the ability to fight a two-front war with China and Pakistan, though the possibility of such a war was low. These are brave words but should war occur, he would probably end up saying what then Army Chief, General VP Malik said during the Kargil Conflict in 1999 � �We will fight with what we have�. Meanwhile, what game the MoD-HAL will play is as difficult as guessing what future Chinese intentions would be?